4. 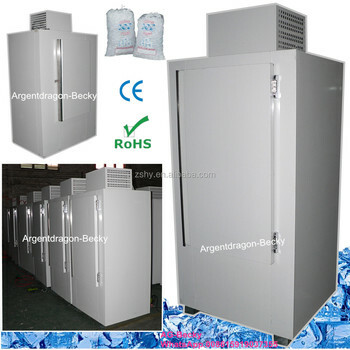 Refrigerant: R404a CFC free. 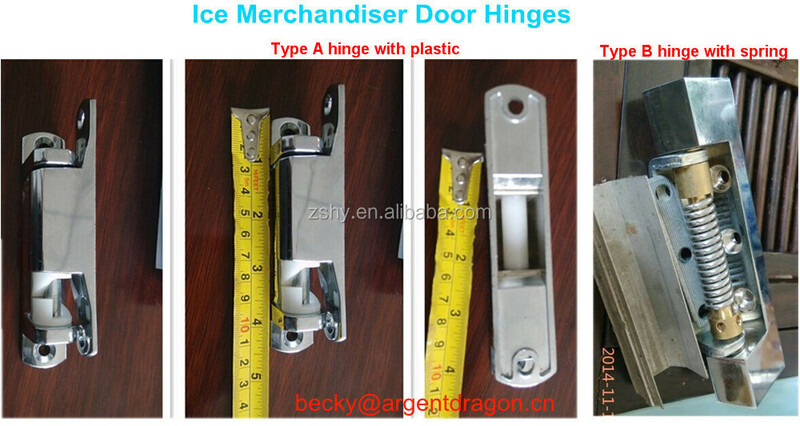 We have four types of door handles for indoor and outdoor bagged ice storage bin. 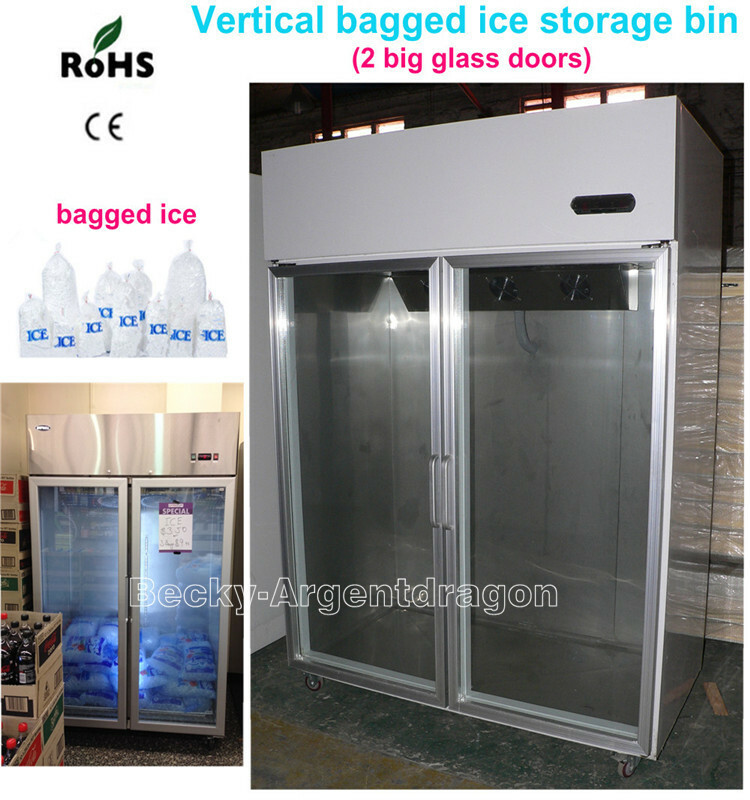 The ice storage refrigerator / ice merchandiser with different capacities optional, there are models with single door and double doors. 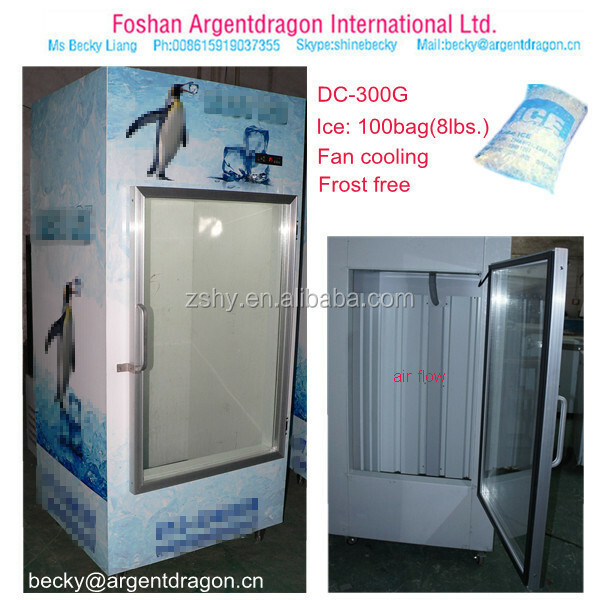 The refrigeration type of ice bin can be air cooled or copper pipe direct cooling. 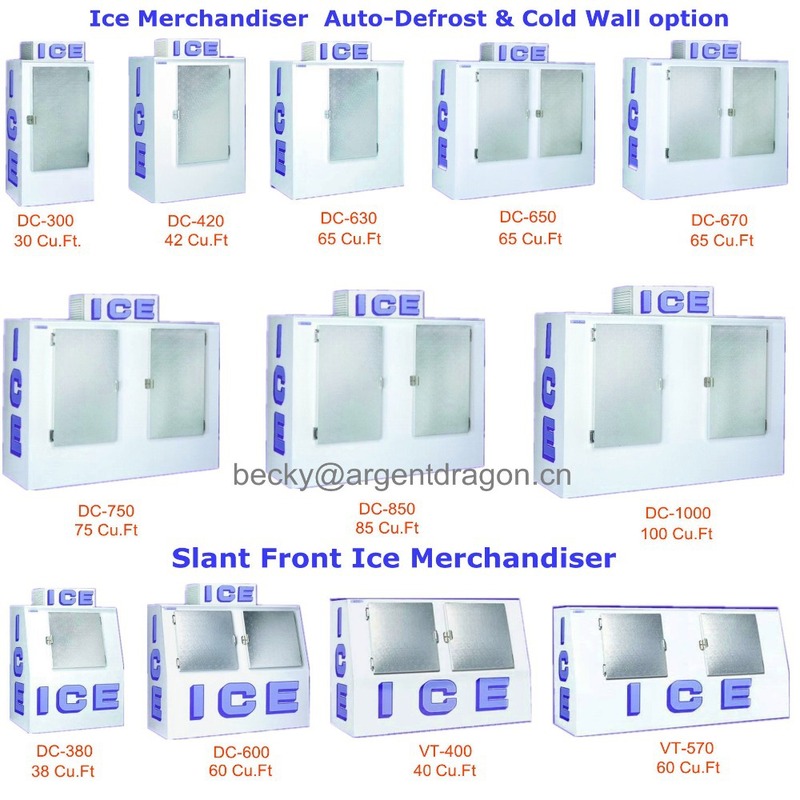 OEM design of ICE bins is welcome! Foshan Argentdragon International Ltd. is specialized in the product fields of supermarket display refrigerator, commercial kitchen fridge, cold room and food processing machines, we have our own factories to manufacture all these goods, and continuous update our product ranges for clients to choose. 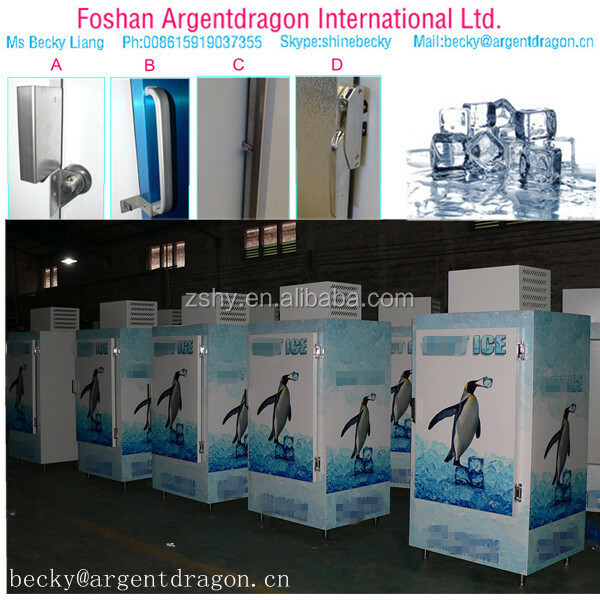 Our products are with beautiful looking and good quality,most of the products are SGS and CE approved, clients are very pleased with our products and services. 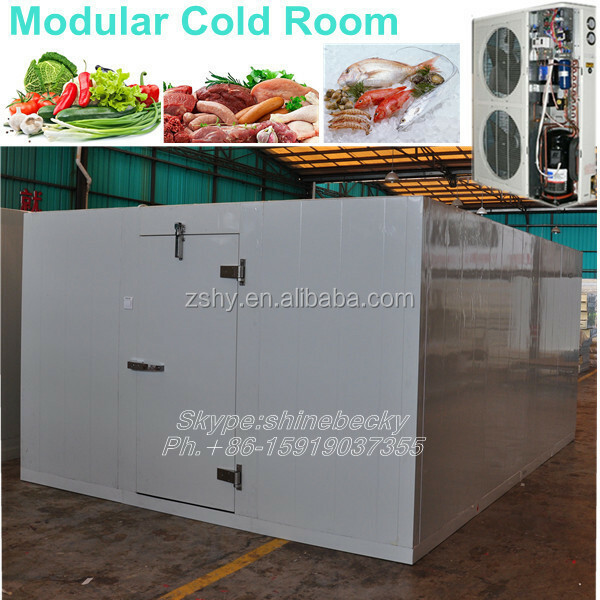 1.Communicate wtih customers and produce fine quality products to meet customer's actual need. 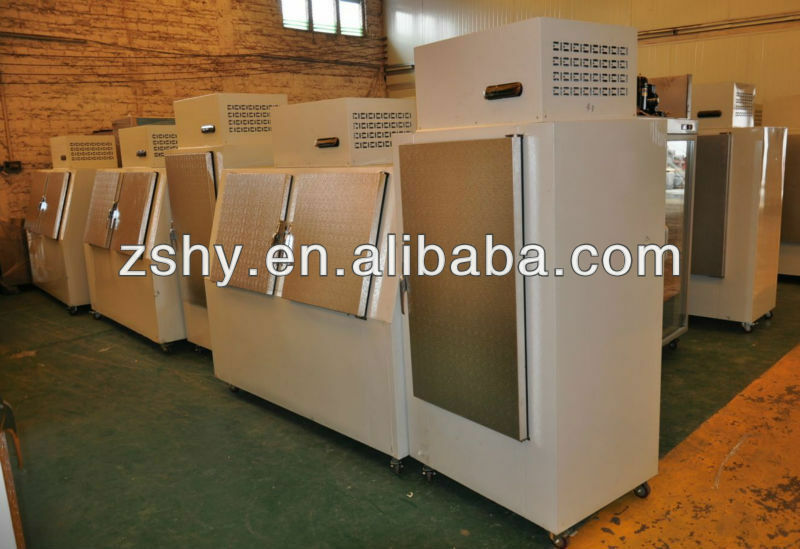 2.Proceed with production, and finin production on time. 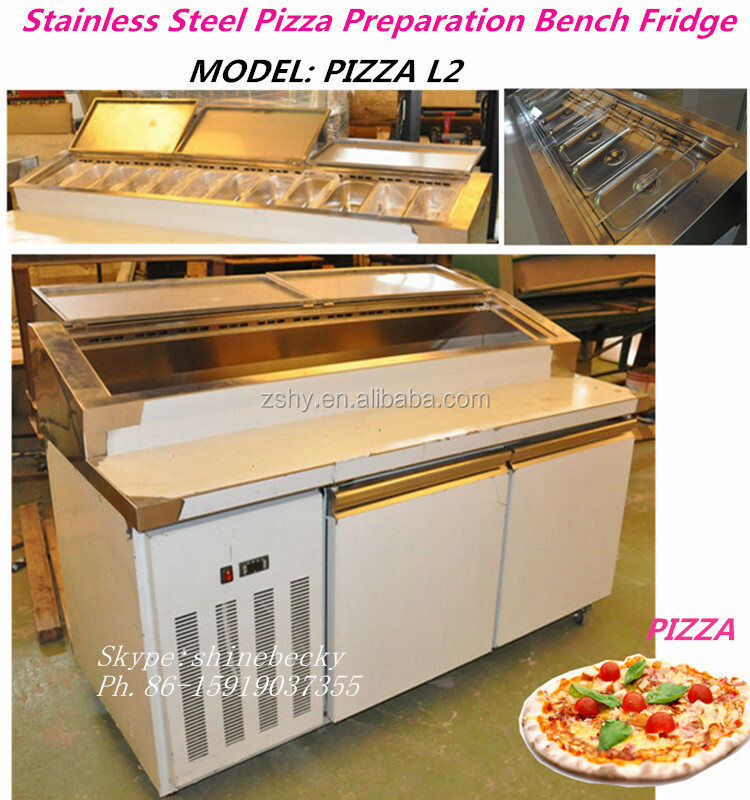 3.Inspect and test the products before packaging and loading. 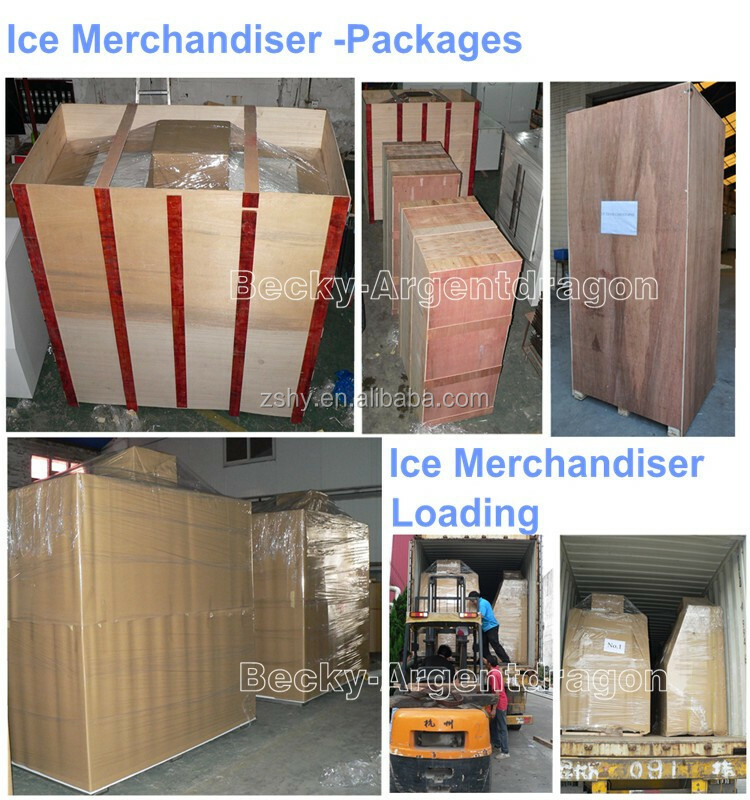 5.Arrange quickest shipment for the goods. 6.After sales service: One year warranty for the goods.We are always here to asist customers to solve the problems.Your feedback on the products are very helpful to improve product quality. 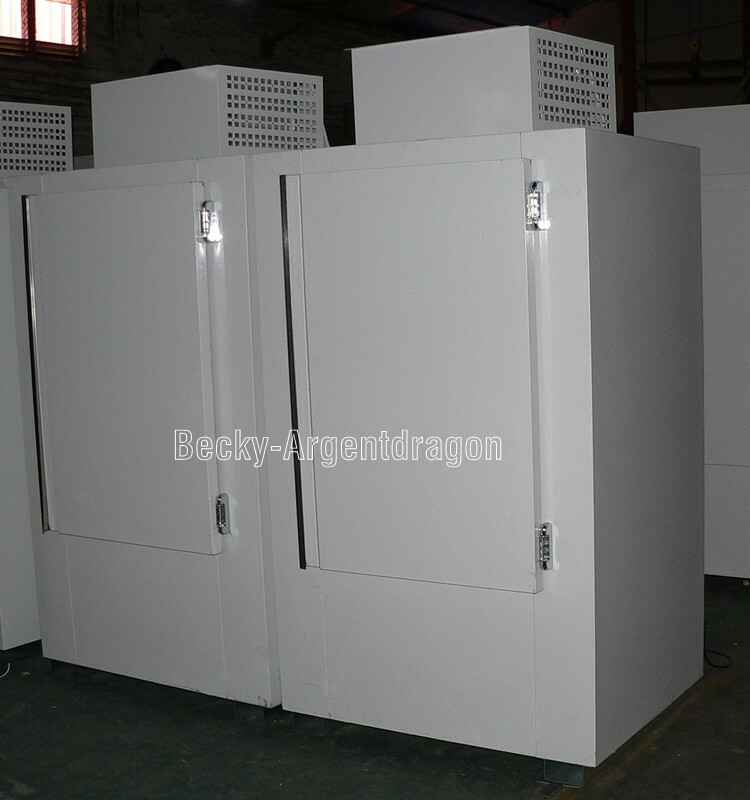 1.Manufacturer: We are manufacturer and can handle export shipments by ourselves. 2. 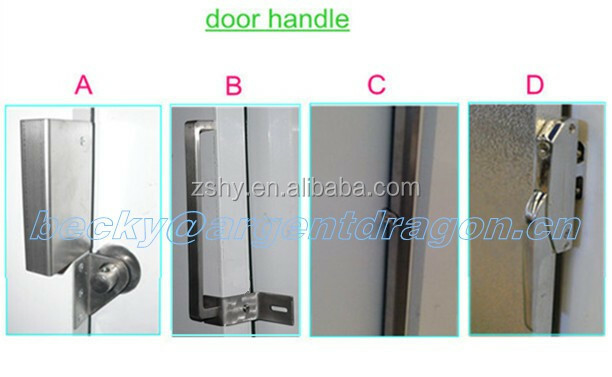 OEM products: welcome, we can customize related products for clients. 4.After sale service: we are always here to asist our clients to solve problems. 6.Payment term: payment by T/T, production begins base on receipt of down payment, full payment should be completed before shipping.